Education is often ranked as one of the most stressful of all career choices. Emotionally, mentally and physically challenging, teaching is a compelling profession where teachers find it all too easy to immerse themselves in their school duties to the detriment of their personal lives. One of the occupational hazards all successful teachers face is that it is all too easy to take home not just paperwork, but also our worries about our school days. The result is that many teachers report significant stress due to a harmful work-life imbalance. The key to dealing with this? 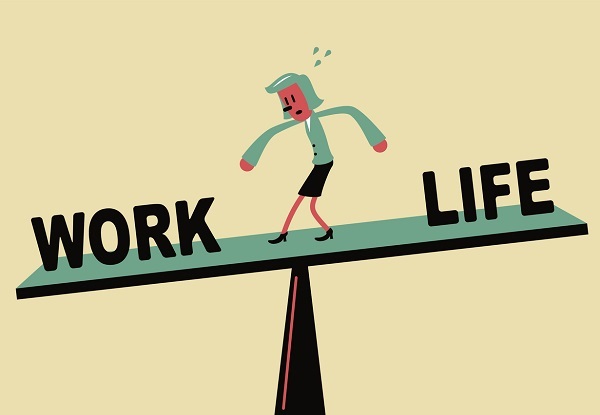 Finding a balance between the challenges of your career and personal needs such as maintaining friendships, meeting family responsibilities and pursuing other endeavors that bring fulfillment and joy to life. To learn how to be one of those successful teachers who seem to have found the right balance between their personal and professional lives, consider putting some of these suggestions into practice. Don’t forget that your profession is only one part of a rewarding and busy life. If you find that you are spending too much time at school or worrying excessively about school after you have left for the day, then it’s time to take steps to manage that school-induced stress. Make time for yourself. Take good care of yourself if you want to be able to focus on caring for your students. Eat well. Exercise. Count your blessings. Plan enjoyable activities. Your students will not thrive if their teacher is exhausted and stressed. See the opportunities in your problems. When you have a problem at school, try to think of it as an opportunity to learn new professional skills. Work efficiently while you are at school. Prioritize the tasks that you must accomplish and work steadily at them. Use your planning time and any spare moment to their fullest advantage. The more you accomplish at school, the less you will have to do at home, leaving you with the time you need to enjoy life away from school. Focus on the tasks at hand. Too often teachers find it easy to second-guess their decisions or to replay troublesome scenarios from the day. Instead of endlessly rehashing what went wrong, focus on productive tasks, such as planning new activities to spark your students’ interest. Set boundaries. No one expects you to be on call 24 hours a day. For example, it is not wise to give out your personal phone number. Although there will be many extracurricular demands on your time, learn to gently refuse those that will be too demanding or unproductive. Keep your career worries in perspective. When something goes wrong, ask yourself if you will still be affected by it in a year, in a few months or even in a week. Try to focus on the big picture instead of allowing nagging small issues to rob you of your peace of mind. Allow yourself time to make effective transitions from one class to another. This is particularly difficult when you have many classes each day. One way to manage this is by having an opening routine that your students can do independently. This will free you to make the mental, emotional and physical switch from one group of students or content area to another. Keep a flexible attitude. Get into the habit of looking for solutions instead of dwelling on your problems. If you are open to alternatives, you will be able to assess your options much more quickly. Stop rushing from one responsibility to the next. Slow down. Here are some ways to slow your school life down: Take time to eat lunch, allow yourself at least 10 minutes to relax with colleagues at some point during your day and use a journal for reflection. Learn to pace your instruction to allow for some less intense teaching periods. You should not be “on” day after day. Instead, allow your students time for independent work, small-group work or even activities such as viewing films related to the subject under study. Add structure to your school life. Routines will prevent many stress-inducing problems. Putting your keys in the same place every day, for example, will save you frustration later. Reflect on the positive things that happen at school. When it comes time for self-reflection, be sure to think about the positive things that happen each day. Focusing on your strengths and your successes is just as important as working to improve weaknesses and correct mistakes. Don’t lose sight of the big picture. No one can teach every part of the curriculum or reach every student or make every school day a success. What you can do, however, is realize that each school year is not a sprint, but a marathon. It takes patience and determination and a clear idea of the desired outcome for runners to complete a marathon; the same is true for teachers. Think before you act. If you plan your responses to unpleasant situations you will prevent many problems. Situations that you should think about before you act include dealing with incomplete homework assignments, angry parents, defiant students, cheating incidents, tardy students and other frequent classroom disruptions. Start to put together a network of supportive and positive people who can help you. Being connected to others is an important way to avoid the stress that can make every day miserable. Supportive colleagues can help you figure out the solutions you need.